Four new Michelin stars and three newcomers for Portugal! Home » Featured » Four new Michelin stars and three newcomers for Portugal! Portugal has four new Michelin stars. 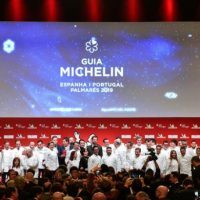 This is the good news that came from the first Michelin Guide gala event to be held in Portugal which many hoped would mark the first time a restaurant in the country achieved a three-star status. While this did not happen, there are many other achievements to celebrate. Portugal now has a total of 32 Michelin stars, with six restaurants boasting two stars and 20 boasting one. All 23 of the Portuguese restaurants that were awarded at least one star last year kept their star (or stars) or added a new one.